We have made cutouts of lots of things over the years, we do lots of people and have also done things like cars, company logos, and cartoon characters. 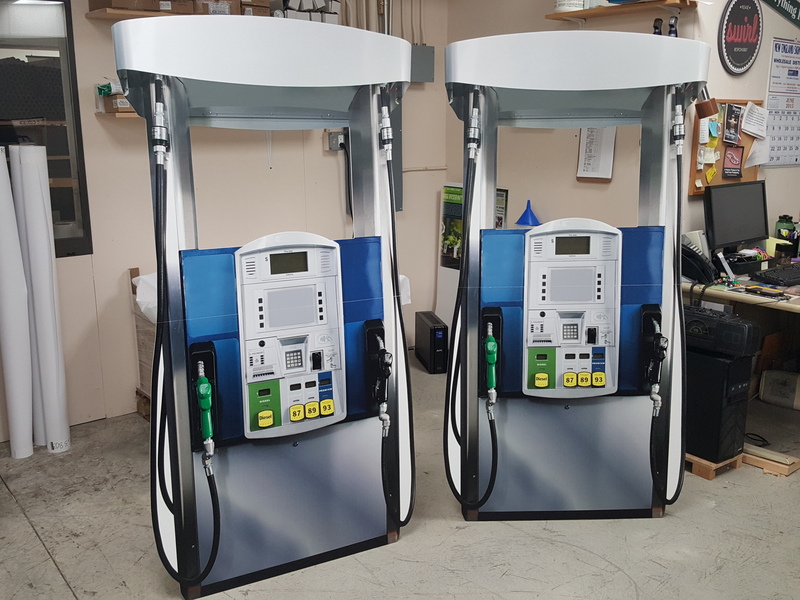 For this job, we did cutouts of gas pumps, Lord knows what that was all about. But, we made one, and they asked for three more! They were very realistic and life size. This entry was posted in die cut signs and tagged cardboard cutouts, cutout signs, person cutouts. Bookmark the permalink.